Why Didn't You Kill Her?. Dr. Vogel questions Dexter. 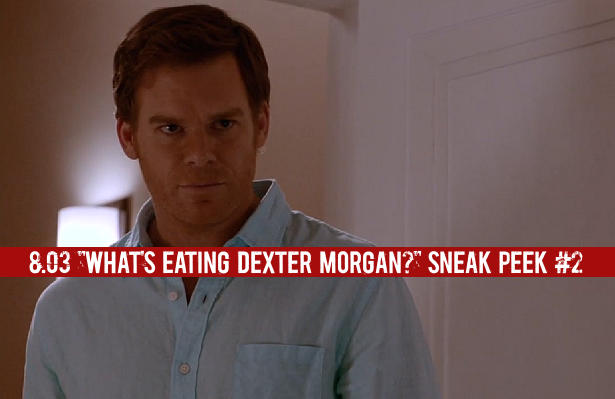 Watch after the jump, the second sneak peek from next week's episode of Dexter, 8.03 "What's Eating Dexter Morgan?"! Tags 8.03, Dexter Season 8, Final Season, Season 8, sneak peek, spoilers, video, What's Eating Dexter Morgan?